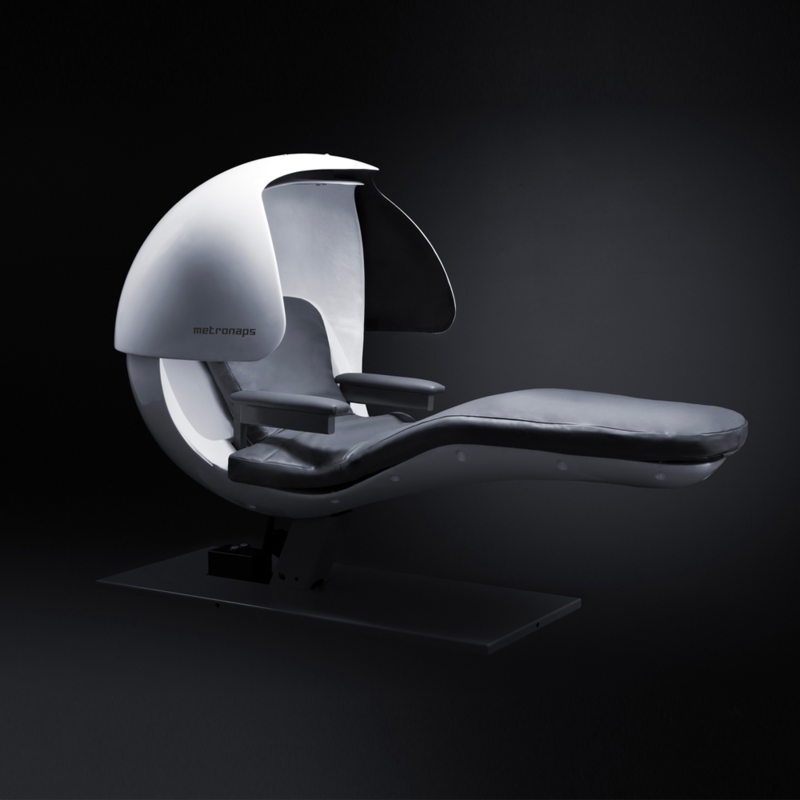 with a 20-minute nap in one of our five state-of-the-art energy (nap) pods. All nap pods are ADA accessible. Stop by LSU Room 112 (located in the lower level of the LSU) or call 310 243-3713. You may book a nap session up to 24 hours in advance. Sessions are available in a first-come, first serve basis; Consecutive bookings are not permitted. The Nap Room is open during facility hours. Rest comfortably. The pods are designed for an optimal zero gravity napping position. Which relieves the cardiac system by lowering the chest and elevating legs. The (optional) orbital privacy visors block enough light and sound in a communal environment and are manually operated. Base lights indicate if a pod is available for use: red indicates pod occupancy, green indicated pod vacancy, and flashing lights indicate a session is starting or ending. Each pod has its own sound system & headphone jack input and image based buttons control lighting, music, volume, vibrations, and recline options. Rest assured. Use your own customized combination to program lockers and secure your belongings while you nap. Use complimentary sanitary wipes to clean nap pod surfaces. Why do we need a nap room? Studies show that when you nap for 20 minutes it provides you the energy boost needed without leaving you feeling groggy or interfering with nighttime sleep.